About us (English) - DEEPWAVE e.V. 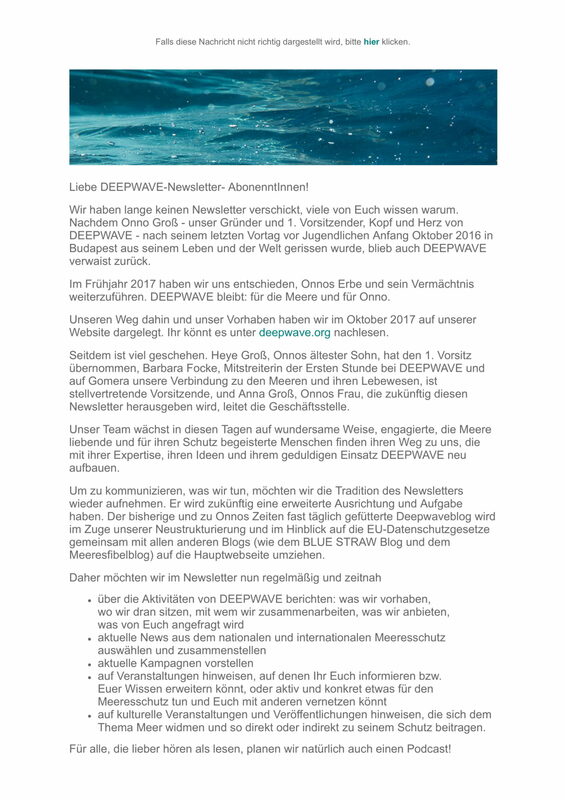 We are working on an English version of deepwave.org and have already begun translating most pages. 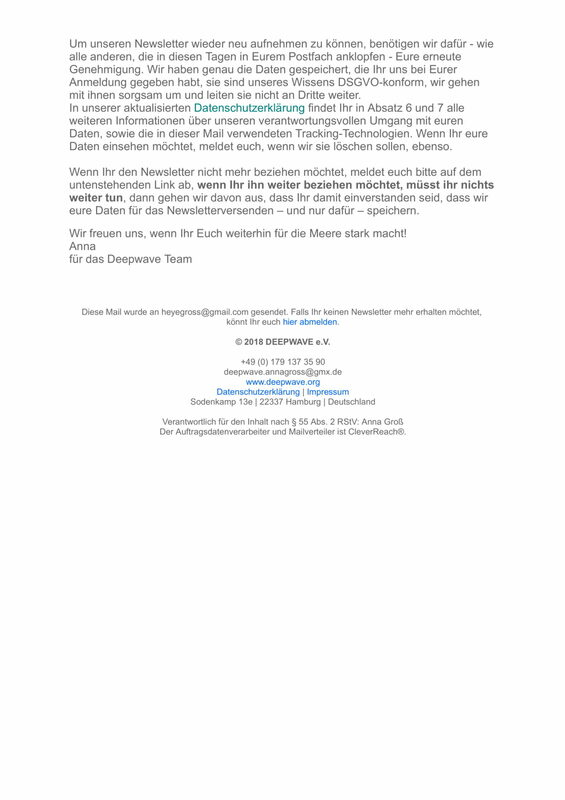 If you are fluent in both English and German in written form and want to support us, any help is gratefully appreciated. children and grandchildren to witness the same marvels of nature. 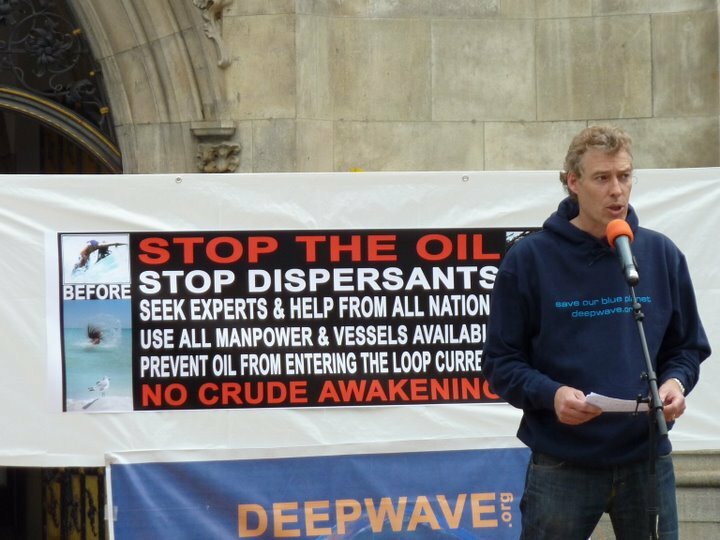 Will we be able to maintain the heritage of our ocean for future generations. Further information can be sent to you upon request.